Rochester is a city in Strafford County, New Hampshire, United States. As of the 2010 census, the city population was 29,752. The city includes the villages of East Rochester and Gonic. Rochester is home to Skyhaven Airport and the annual Rochester Fair. 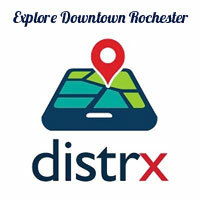 There is plenty of parking available in downtown Rochester for your convenience. The City has created a site to review parking information and a map of available public parking locations. Check it out here. The town was one of four granted by Colonial Governor Samuel Shute of Massachusetts and New Hampshire during his brief term. Incorporated in 1722, it was named for his close friend, Laurence Hyde, Earl of Rochester and brother-in-law to King James II. As was customary, tall white pine trees were reserved for use as masts by the Royal Navy. But hostility with the Abenaki delayed settlement until 1728, although attacks would continue until 1748. Early dwellings clustered together for protection, beginning near Haven Hill. Due to warfare or disease, after 1749 Native American numbers dwindled, although many descendants remain in or around Rochester communities. The community at that time included Farmington, which would be incorporated in 1798, and Milton, in 1802. We have have an ever-expanding list of businesses downtown. Click here for a list of all businesses in the district. We try our best to keep all the information current, but please let us know if we need to make an update. ​"Explore businesses in Main Street shopping and entertainment districts across the country. Visit your favorite districts, and receive valuable offers and promotions via your mobile device."